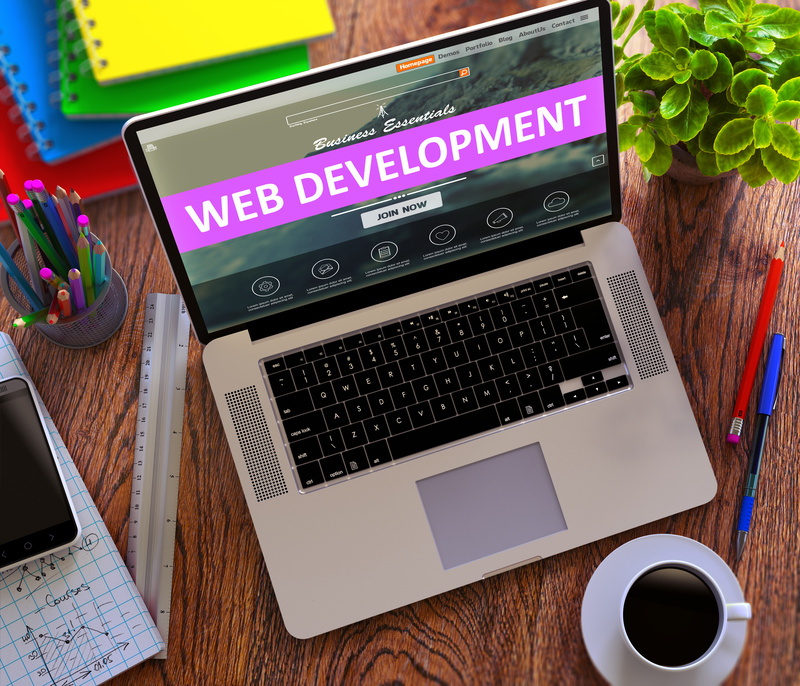 The last 3+ years or so has seen some very useful web development application tools being introduced to streamline the process of both creating and further developing websites. 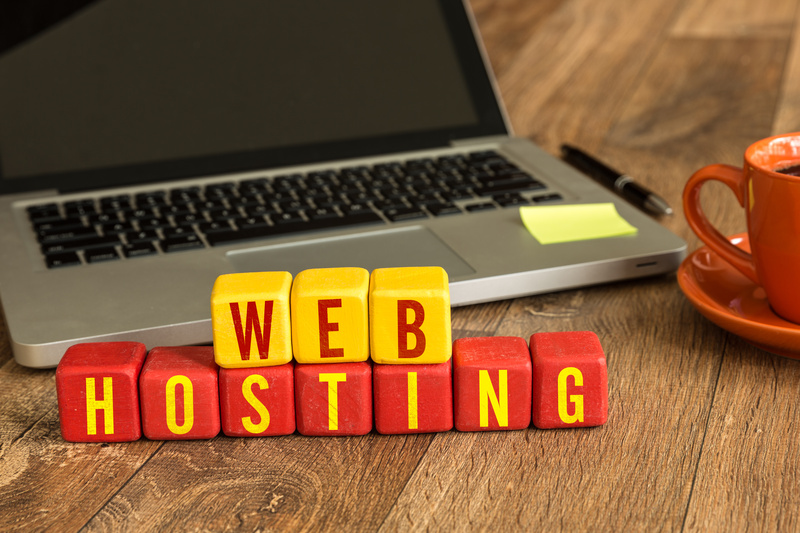 Here at 4GoodHosting we are always keen to offer more to our clients as part of being a quality Canadian web hosting provider, and we know that more than a few of you are the webmaster behind your website. In this week’s blog we are going to offer our recommendations on some of them that have really made the grade in our opinion and have much promise in allowing you to develop and expand upon your website. Notepad ++ – Choosing Notepad to write or edit your code is still a viable option, but there’s the potential to increase your productivity and efficiency with Notepad++. Among the more notable improvements with ++, it has syntax highlighting and syntax folding features that simplify the process of weeding out bugs, and a well designed tabbed interface allows you to work on multiple documents. In addition, Notepad++ boasts an auto-completion feature that makes writing code that much faster (relative to using Notepad). Notepad++ is available as both a full install and as a portable app. FileZilla – FileZilla is regarded as one of the best free FTP, SFTP, and FTPS clients around. Aside from being available for multiple platforms (Mac OSX, Linux, & Windows), it is relatively easy to navigate and use. It’s optimized for allowing webmasters to manually backup the files on their sites’ FTP servers and while FileZilla is only available as a full installer, it’s still really a top notch tool and worth the space if you’re especially active. Database Browser – This free tool lets you easily connect to databases, as well as modify data on your DBs and export or import data plus run SQL scripts any time you like. Notable supported database servers include MS Sql Server, ODBC, Oracle, MySql, BDE, SQLite, Firebird, and Interbase, among others. Like Notepad++, the program is available as both a portable app and full Windows installer. XAMPP – XAMPP gets high marks for the fact it is an extremely important tool for testing and debugging your site. It is more specifically a distribution tool that packages Apache, MariaDB (as compared to the more dated MySQL), PHP, and Perl to let webmasters locally host their own sites in advance of their going live. As a result, you can stress-test and debug your sites. XAMPP is available as a full installer and portable app. Google Chrome – A quick mention here, as it truly is the best browser to use if you’re a web developer. In particular, it provides you with a handy feature that aids in letting you make temporary on-the-fly changes to your site for testing and debugging purposes. Share X – Very useful for taking enhanced screenshots and screen prints, and what distinguishes Share X from other similar tools is that you can automatically share your screenshots to the popular media sharing site Imgur, which of course is very useful if you’re an instructional aide or consultant in web development. In addition to screenshots, ShareX also features screen recording .gif and .mp4 formats for you take advantage of. GIMP – No getting around the fact that Photoshop is especially pricey. GIMP is a nice free alternative if you’d rather not pay for Photoshop Elements or a Photoshop CC subscription. It’s Photoshop’s equal in terms of features, and is quite easy to get the hang of in a short period of time. GIMP is available as both a portable app and a full installer. Krita – Similar to GIMP, Krita is yet another free alternative for Photoshop. In comparison to GIMP however, it’s primarily designed for artists. Webmasters who want to create graphics or artwork for their sites will likely find it preferable to GIMP. Audacity – The consensus seems to be that Audacity is the best free audio recording software available. It’s great for recording and editing your audio files is impressively easy too. It’s currently usable on Mac OS X, Windows, as well as Linux and is available as a portable app or as an executable. Camstudio – Camstudio is a webcam and screen recording tool that’s decidedly more affordable than others currently on the market. Those of you who are also creating video content (reviews, commentaries, video tutorials) for your site will certainly find it very useful for recording your screen. OBS – A free live streaming software that is also applicable for video recording. It differs from Camstudio in that webmasters can use OBS for webinars on nearly any live streaming platform – Youtube, Twitch, Dacast etc. – and it’s a great for allowing webmasters to leverage the extent of their interaction with a target audience. Slack – Slack is quickly becoming one of the more popular group and collaboration communication tools around. It’s got much more in the way of features and custom user options as compared to Skype. Have a look and see for yourself, we imagine you’ll find it preferable. Pidgin – Managing multiple freelancers who are contributing to your site? You’ll find Pidgin is ideal for easily communicating with them. You can manage almost all of your IM accounts under one client, and you’ll never have to worry about opening multiple chat windows to talk to your freelancers or clients. With the fact that the majority of customers are acquired through web searches these days, it’s an absolute necessity for any business to have a sound web presence. In contrast, during the early days of the Internet here was no telling how important and indispensable that presence would become. While the design, usability, and content of a company’s website are all important for success in digital marketing, business owners also need to look long and hard as to where they will choose to host their websites. When it comes to hosting, you really do need to understand that one size does not fit all. Here at 4GoodHosting, part of what has made us a reputable Canadian web hosting provider is the fact we’re very accountable to our customers in as far as their individual web hosting needs.Going with a web host that’s not an ideal fit for your business can result in a loss in revenue, detrimental effects on your SEO rankings, as well as the possibility of security and malware attacks. And it’s not just you the business that’s put at risk – your customers can be put in vulnerable positions as well, in particular with those same software and malware attacks. There’s no getting around the fact that the Web is an ever more competitive and dangerous space. 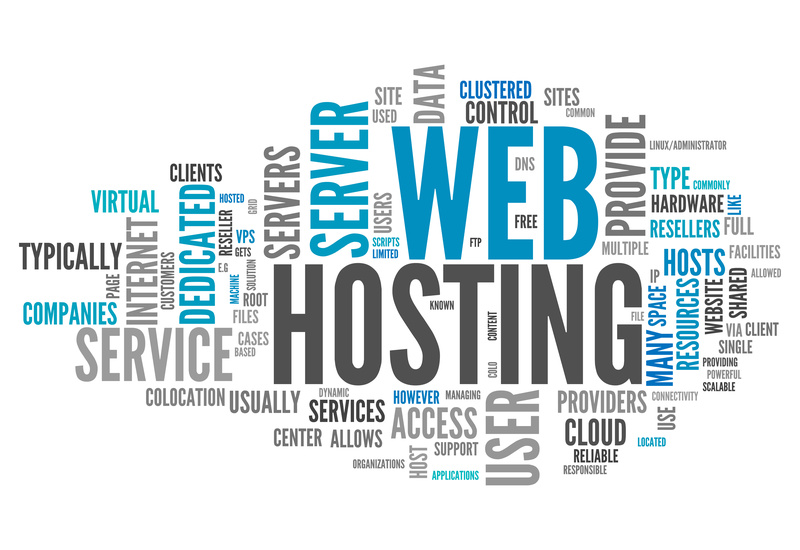 As a result, businesses need to be very judicious in choosing web hosting. With that understood, we’re happy to offer you 6 tips here that can help businesses make the most solid choice for their web hosting. 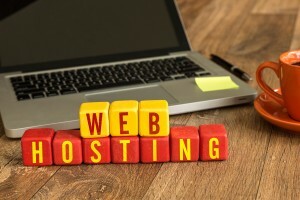 This may seem overly rudimentary, but business owners in the market for web hosting must first know what makes up the entirety of their online marketing needs. You’ll find that more than a few low-cost web hosting companies cut their operating costs by limiting the technologies they make available to you as a customer. Do I need special software, such as a CMS? Do I need Windows applications?, a Linux one?, an SSD one? Asking these questions will help you to identify your needs and choose the web hosting company that will work best for you. If you’re aiming to take your business onto the world stage and being a global company, a big part of that is being ‘open’ for visitors 24/7 and 365 days a year for prospective customers who could be anywhere around the globe. 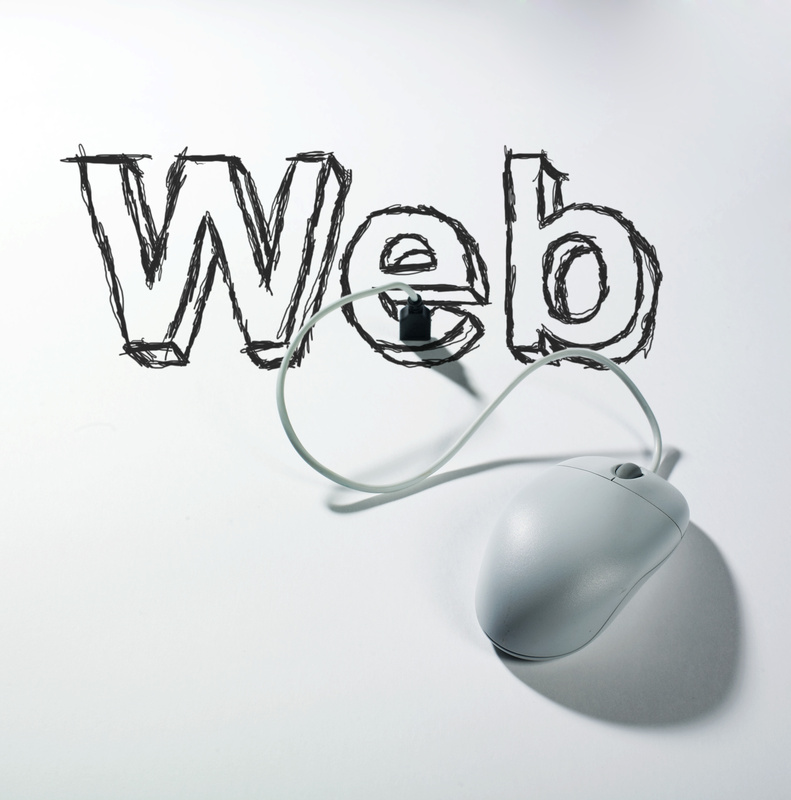 The internet does not sleep, and your website needs to be accessible at all times. Any hosting provider you’re considering should do everything in their power to ensure maximum uptime. It’s fairly common these days for web hosting companies to boast a 99.9% uptime. However, the reality is often that that’s not entirely accurate. A good suggestion is to seek out independent reviews of their reliability in order to better help you make your decision. Web hosting is like any technical service really. There’s likely to be times when you’ve got get technical support to resolve an issue you have. 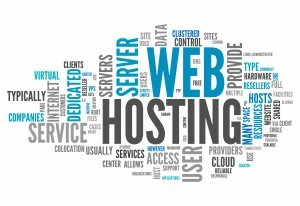 Accordingly, you’ll be best served by choosing a web host that has a good reputation for both technical support and customer service. Again, many web-hosting services will insist that they offer 24/7 service when in reality their support may be much less thorough or extensive than promised. For example, should your website become inexplicably inoperative at 3 am on a weekend morning, you will of course want to get in touch with someone who can remedy the situation. In addition, for most of us talking to a real person is vastly preferable. And a speedy resolution is always of the utmost importance when your site is designated for e-commerce as downtime means you are potentially missing out on sales. If customer support can’t be reached until Monday at 8 30 am their time, you may well find yourself boiling over with frustration. Letting the cost of web hosting services play too large a part in your decision making process is highly inadvisable. Yes, overhead and operating costs always need to be controlled, but again – with the incredible importance of digital marketing – you really don’t want to skimp on spending for quality, reliable web hosting services. As is true of so many things – with web hosting, you get what you pay for. If we may suggest, rather than thinking about what you can afford, consider what you cannot afford. Frequent downtimes will definitely be on that list, and we imagine security breaches will be as well. Inexpensive web hosting will almost certainly be shared web hosting. Such an arrangement will work fine if your business does not see any large quantity of visitors to your site everyday. However, if your website is attracting a large amount of traffic then you may want to look into VPS hosting in Canada. Sure, it will cost more than other hosting services, but it will ensure you have the reliability and server space you need to accommodate surges in visitors and let your site run optimally if it’s particularly dynamic with multimedia and so on. In addition to this, you’re more likely to enjoy superior technical support as well. Your business will grow – or at least we can certainly hope that it will, as that will naturally be your aim. As such, your website should be be able to handle the increased traffic that will come with such growth. You will want – maybe we can even say need – a web hosting company that can grow with your business and adapt along with you as you see more and more traffic incoming to your site as the months pass. Further, having to switch web hosting providers in response to that growth is going to present its own set of challenges / problems. Instead, ask yourself now if any prospective provider has the means and / or resources to offer you different hosting arrangements as you may (or will – let’s think positively) need them in the future. For example, if you start off with just a WordPress blog on a shared hosting plan, can you graduate to a dedicated hosting arrangement for more processing power, disk storage, and improved security features? Further, are you able to upgrade your service, and if so, how easy is the process? A quality web hosting provider aims to accommodate business clients as their businesses grow and experience greater exposure and thus success within their digital marketing efforts. As much as we might wish it wasn’t the case, servers are technical machines and as such there will be system failures. They will go down, and websites will crash. Of course, we work hard to prevent the frequency of that and in fairness it does happen extremely rarely given the efforts of responsible web hosting providers like us and many others. So no matter what caused the failure, you as the customers will more primarily be interested in knowing your data has been protected and how quickly you can be up and running just as before. You should always ask potential web hosts for their backup policy. Also, find out how regular these backups are, how easy they are to perform and whether it can be performed by the site administrators. The peace of mind in knowing your website is in the best of hands is really quite enjoyable for any business owner, and again especially so with the fact that so much of your business growth is dependent on the success of your digital marketing campaigns. Your website is a massive part of that campaign of course, so don’t even think of leaving it in a potentially precarious position. If you yourself haven’t been the victim of a cyber attack, you very likely know someone else who has, and in fact the numbers suggest that upwards of 90% of organizations experienced at least SOME level of an IT security breach in the past year. Further, it’s believed that one in 6 organizations have had significant security breaches during the same period. Here at 4GoodHosting, we’ve established ourselves as a top Canadian web hosting provider but we’re always keen to explore industry trends – positive and negative – that impact what matters to our customers. And our array of customers covers pretty much any type of interest one could have in operating on the World Wide Web. 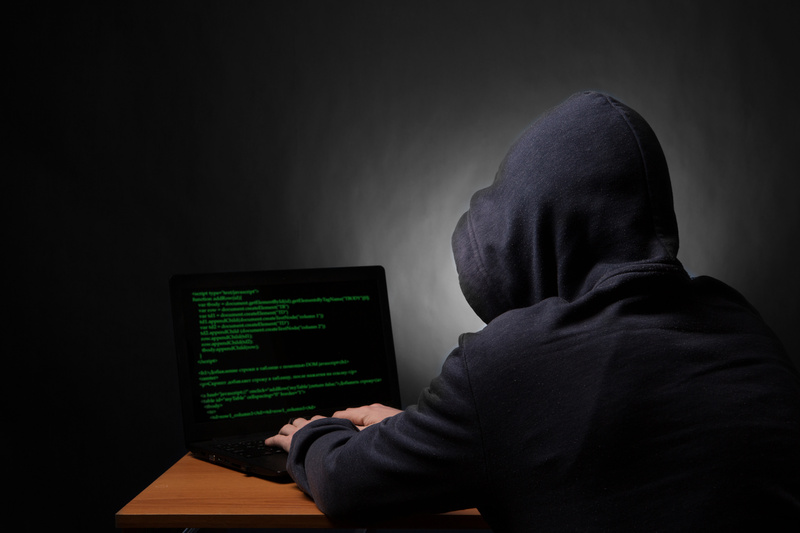 Cyberattacks have pretty much become a part of every day life. While not to suggest that these types of incidents are ‘inevitable’, there is only so much any one individual or IT team can do to guard against them. Yes, there are standard PROACTIVE web security protocols to follow, but we will not look at those here given the fact that they are quite commonly understood amongst those of you who have that as part of your job detail and responsibility within the organization. Rather, let’s take a look at being REACTIVE in response to a cyber attack here, and in particular with tips on how to disinfect a data centre and beef it up against further transgressions. It would seem that the overwhelming trend with cloud data security revolves around the utilization of firewalls, believing them to be a sufficiently effective perimeter. Oftentimes, however, exceptions are made to allow cloud applications to run and in thus doing so the door is opened for intrusions to occur. So much for firewalls securing the enterprise. Similarly, anti-virus software can no longer keep pace with the immense volume of daily viruses and their variants that are being created in cyberspace nearly everyday. A reputable cybersecurity firm recently announced the discovery of a new Permanent Denial-of-Service (PDos) botnet named BrickerBot, which serves to render the victim’s hardware entirely useless. A PDoS attack – or ‘phlashing’ as it’s also referred to – can damage a system so extensively that full replacement or reinstallation of hardware is required, and unfortunately these attacks are becoming more prevalent.It is true that there are plenty of useful tools out there such as Malware bytes that should be used to detect and cleanse the data centre of any detected or suspected infections. Whitelisting is a good way to strengthen your defensive lines and isolate rogue programs that have successfully infiltrated your data center. Also known as application control, whitelisting involves a short list of the applications and processes that have been authorized to run. This strategy limits use by means of a “deny-by-default” approach so that only approved files or applications are able to be installed. Dynamic application whitelisting strengthens security defenses and helps with preventing malicious software and other unapproved programs from running. Modern networking tools should also be integrated as part of your security arsenal, and if they are configured correctly they can highlight abnormal patterns that may be a cause for concern. As an example, intrusion detection can be set up to be triggered when any host uploads a significant load of data several times over the course of a day. The idea is to eliminate abnormal user behaviour and help with containing existing threats. What’s the best way to augment current security practices? Experts in this are increasingly advocating real-time analytics used in tandem with specific methodologies that focus on likely attack vectors. This approach revolves around seeing the web as a hostile environment filled with predators. In the same way behavioural analytics are used in protecting against cyber terrorists, we need to take an in-depth look at patterns to better detect internal security threats. However, perhaps the most important thing to realize is that technology alone will never solve the problem. Perfect email filters and the transgressors will move to using mobile networks. Improve those filters and they’ll jump to social media accounts. The solution must address the source and initial entry concepts, with training and education implemented so that people in the position to respond and ‘nip it in the bud’ can be explicitly aware of these attacks just as they first begin. End-user Internet security awareness training is the answer, but we are only in the formative stages of making it accessible for users across all the different types. Much of it is all about teaching users not to do inadvisable things like clicking on suspect URLs in emails, or opening attachments that let in the bad hats. Putting all staff through requisite training may be expensive and time consuming / productivity draining, but we may be at the point soon where it’s no longer an option to NOT have these types of educational programs. The new reality is that what we previously referred to as ‘the perimeter’ no longer really exists, or if it does it’s by in large ineffective in preventing the entirety of cyber attacks. The ‘perimeter’ is now every single individual on their own, and accordingly the risks are even greater with the weakest link in the chain essentials being the entirety of your system defences. A good many of you who web designers out there may in fact be correct in your assumptions regarding what your defined audience wants, but there’s likely an equally large percentage of you who have made design, layout, and content choices with your site that have missed the mark. You might have hunches, and more than a few folks will have opinions for you. But how do you really take the pulse of how intelligently your site is laid out for and experienced by visitors. Here at 4GoodHosting, our expertise is naturally with quality web hosting in Canada, but our enthusiasm for trends in Internet marketing leads us to discover a number of topics that would likely interest our customers. This week, we’re inclined to discuss these 6 good PHP scripts for Canadian websites that are very practical for letting your site visitors leave you with quantifiable feedback on specific elements or components of your site, via ratings. Here are 6 that we’ve come to be familiar with, and in order of the ones we think most highly of. The ThumbsUp rating script gets high marks for its modern, stylish design and how it makes it easy to implement an engaging ratings system for any of your websites. The ThumbsUp script works with a MySQL database, and incorporates an easy-to-understand configuration file, plus includes six custom templates. It looks sharp, and performs well too. The admin area offers plenty of control and customization options along with several selectable features. Users report finding it very easy to customize scripts to suit website styles and needs. The Rating System script provides a very plain way for allowing visitors to engage with your content by leaving a rating score. Choose one of the 3 different user interface styles, and the proceed to documentation which explains how to implement and configure the script to suit the specifics of your website. Another big plus is that it allows visitors to leave feedback on your content, products, and media releases, and more. The Skinnable Rating System is not only a modern, comprehensive rating script that’s easily implemented, but it also boasts an advanced administration panel that provides an impressive level of control over your ratings system, statistics and the appearance of the system itself within the website. In addition, there’s also a handful of snappy features that also come included and add to the scripts’ overall high-quality finish. It’s a strong fit for all modern browsers and mobile devices, and last but not least it can be integrated with any of your online content fairly simply for even the least experience webmaster. We like Poll for the fact it’s a useful little script than can be used to set up opinion polls on your website without much know-how or effort on behalf of the webmaster. Like Skinnable Rating System, it comes with a nice advanced admin panel where you’re able to manage your opinion polls via an intuitive user-interface that even a newbie could work their way around quite easily. Poll also comes fully documented, and is bundled with 3 poll styles to choose from, so it would bet #1 on the list if convenience and ease of use were the only criteria. Advanced Rating System is the way to go for those of you who want comprehensive data from your ratings. It is a modern rating system that you can easily implement onto your website, and it lets visitors leave feedback and engage with your content on-the-fly – which of course means they’re more likely to do so! You’ve got your choice of a variety of bundled rating icons and colours that match the style of your website perfectly, and by making use of modern technologies including AJAX, IP protection, cross-domain embedding, and MySQL database it’s a champ for storing ratings data. The consensus it that it is a hugely customizable and attractive rating system that’s ideal for nearly any type of website. Those in the business seem to agree that ‘Minty’ AJAX Ratings script delivers a ‘cool’ solution for anyone wanting to set up a basic rating system for their website. It scores well for its smooth implementation steps, optional MySQL database use, easy customizable nature using simple CSS code, and AJAX instant-refresh. The Minty AJAX Ratings script is a great way to engage with your visitors with content that is more likely to promote that interaction. You can also retrieve feedback to see how your content, products or media releases are performing. As mentioned above, the appeal of having visitors rate your site and / or individual parts of it is in the fact that it’s quantifiable input on how inviting the pages or site as a whole are for different types of users visiting it. There’s definitely a lot to be said for implementing one of these PHP scripts. Here at 4GoodHosting, we take pride in being a premier Canadian web hosting provider that serves customers from Victoria all the way to St. John’s. But we’d like to take a moment to explain why we’re an even better choice for those of you who are also residents of the Lower Mainland and Greater Vancouver. Read on. Of course, that’s no longer the case. Your web hosting provider can be located on the other side of the planet if you’re pleased with their rates, service, and the reliability of the web hosting. You may well find that a provider that’s nowhere near where you’re located is offering some very attractive features or offers like more storage, lower price points and other additions. Without a doubt, more than a few web hosting customers in our B.C. backyard have taken their hosting business elsewhere, and that’s honestly as it should have been. However, more recent developments in the big picture of the world of Internet marketing has made it that there are advantages to having a local web hosting provider. Let’s discuss them. When a website is first created, it will assume an Internet Protocol, or IP address, that is assigned to it. It references the location, geographically, where the website was created, it’s ‘original location’. However, If you are a B.C. company that has acquired your hosting from an American provider, for example, your website’s IP address will be an American based on wherever it is they’re located. This influences the way Google views your website, as despite the fact you are a BC user, you have an overseas IP address location. The relevance of this is that your webpage isn’t considered as a local one, which influences your SEO and overall google ranking within BC – and your local prospective clientele in particular. One of the most tangible benefits of having your website hosted locally in BC is that you and your host will share the same time zone. Should any issues arise, you will be much more likely to be able to get someone on the phone. BC residents that use overseas or cross-continent hosting may find themselves in a situation where support technicians are unavailable , which of course can be a huge disadvantage if a problem occurs with your website and can be very problematic if your site is serving e-commerce aims. In addition to that consideration, your own website will also be configured to the time zone of your hosting provider. When your site is aligned with a differing time zone, it can be confusing when looking at the analytical side of your website. Further, an overseas time zone can also result in the website being completely unavailable during the day. How’s that? Well, hosting providers will do routine updates and maintenance overnight from time to time, to avoid clashing with high traffic times of the day for their recipients. Although this isn’t likely to be a major risk, it still is something to consider – particularly if your customer base is global in nature – and a reason to consider going with local hosting. This extra time it takes to load information could be crucial, and lead to potential customers moving on from your site due to slow loading times. Surely most of you will agree that the possibility of losing customers and damaging your reputation isn’t worth the risk. Many hosting providers will offer web design or web marketing consulting services. 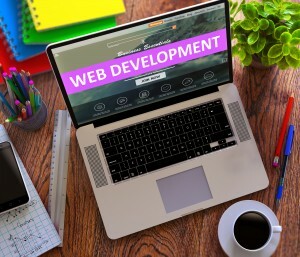 If you choose to take advantage of them, the individuals you’ll be in consultation with will have their thumbs on the pulse of web design trends that are prominent in your area, and that can extend – albeit to a lesser extent – to what’s ‘hot’ locally with regards to Internet Marketing approaches. Take a look, for example, at business websites located in Toronto versus those in Vancouver. There are subtle differences, and they generally surround the different aesthetic preferences of the general public in a certain location. Not surprisingly, it will be more affordable rates that will woo B.C. website owners away from local providers most of the time. Keep in mind, however, that you are paying the outlined rate to your overseas host, and that will likely depend on the current exchange rate for your Canadian currency. Exchange rates are known to vary, and sometimes wildly so. Ensure your website is always prepared for success, and trust a local web hosting service in Vancouver if this is where you call home as well. We’re but one of the good ones around here, but we do have rock-solid reliable hosting at competitive prices and our service is equally impressive. Let’s keep it local!